In shadow of the majestic Ladakhi Himalayas, with freshness of air, on windswept trails and roads, to the view of sun kissed mountains, Ladakh Sarai offers various mountain biking options. An easy ride of few hours or less to multiple days of mountain biking options are offered. Our overnight/ multi day mountain biking trips are fully supported by back up truck, car, camping crew, camping gear without compromising on your creature comforts. Really good condition bikes like Wheeler, Giant , Cannondale , GT. Helmets. Trail guide, route guide and back up jeep with tea /coffee/energy drinks with snacks. Route 1: Ladakh Sarai-Choglamsar-Palam-Ladakh Sarai- approximately 14 kilometre, on the return approximately alleviation gain of 400 metres. 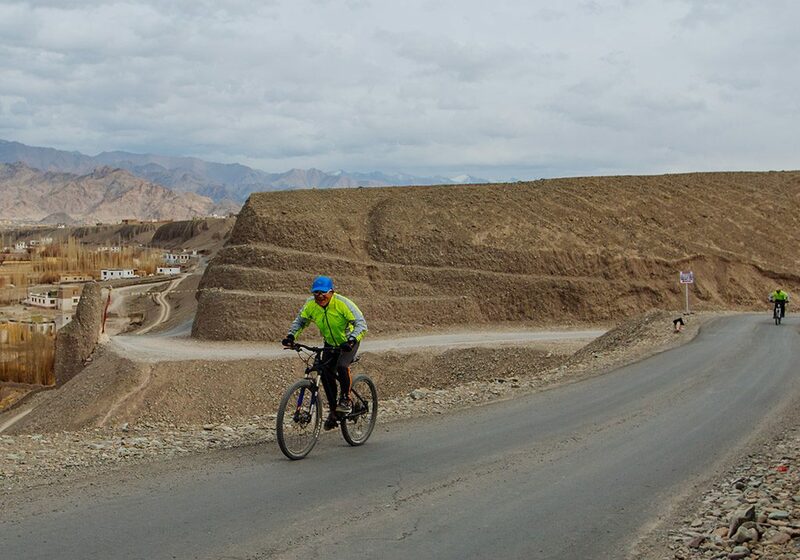 On this route you go down to the Indus at Choglamsar- mostly effortless, for about 4 kilometre, at Choglamsar we cross the Indus on its left bank and cycle mostly flat for 5 kilometre with a stretch of 800 metres with slight ascend. Enjoy breath taking view of Leh town, surrounding mountain ranges and villages at sunset. Enjoy a cup of tea at Palam with freshly baked cookies and muffins at Ladakh sarai while you watch the sun go down. 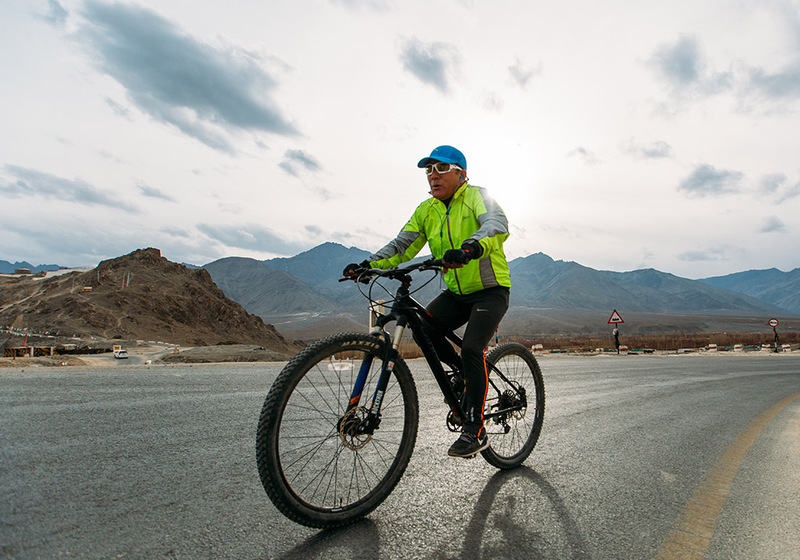 Route 2: Ladakh Sarai-Shey-Thiksey-Karu-Indus-Marstelang –Stakna- Chushot-Choglamsar- 68 Kilometres, 5 hours. On this route you go down to Leh-Manali highway without much effort, from here its flat ride along the Indus and villages of Shey, Thiksey, Ranbirpur-Stakna to Karu. At Karu we cross the Indus and go short uphill towards Martselang. From the here the ride back is mostly flat without much effort to Choglamsar, where you cross the Indus. From here for the next 7 kilometres its mostly ascending ride which would require you to put extra effort. Since, the options b is much longer ride, we would pack you with energy drinks, tea /coffee, sandwiches etc in your back up truck that follows you throughout the trip. Overnighter /or Multi nights mountain biking options are varied – please send us your queries and we will customize the trip for you. We will send you route, trail maps, cost and other details.